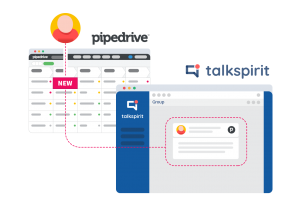 A few months ago, we launched the Pipedrive integration with talkspirit. 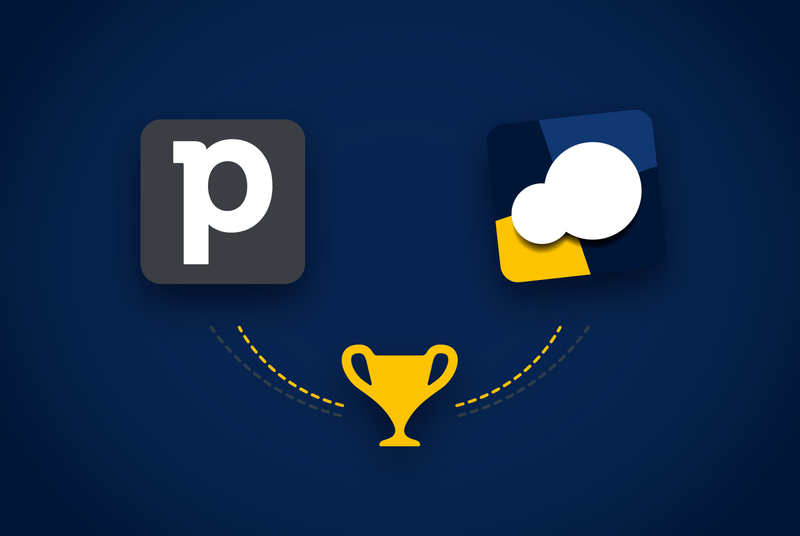 This basically meant that each new opportunity created in Pipedrive, was able to broadcast an automatic publication within the group where the application is integrated. Also, each change of status in the pipeline immediately issues a comment linked to the publication. This first integration level with a business app speeds up the flow of information beyond the sales team and allows everyone to have access to a perfect overview of the commercial activity. Collaboration is facilitated by the thread attached to the publication: everyone involved can easily share information and work smoothly together. Far from all the noise generated by multiple notifications, scattered across a chat channel; the thread logic offers the advantage of gathering all the activities associated with an opportunity in one single publication. 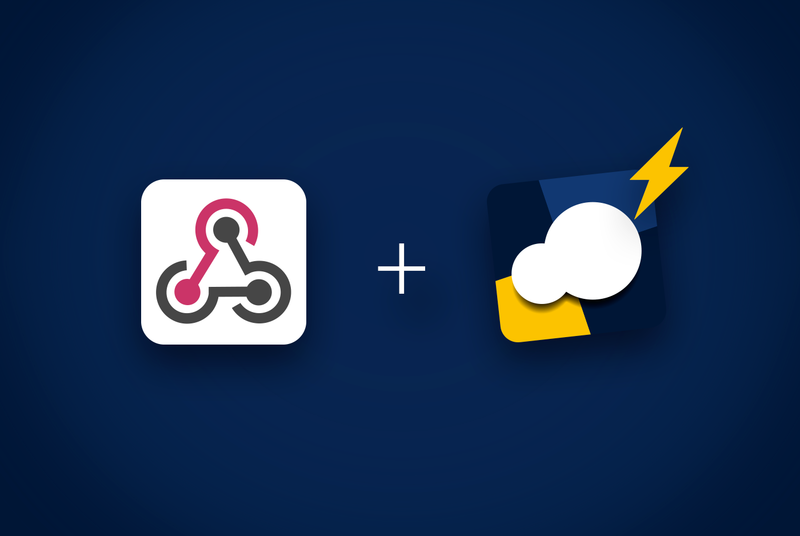 Within the talkspirit team, we’ve actually activated this integration a few months ago, and it has literally changed the way we work. 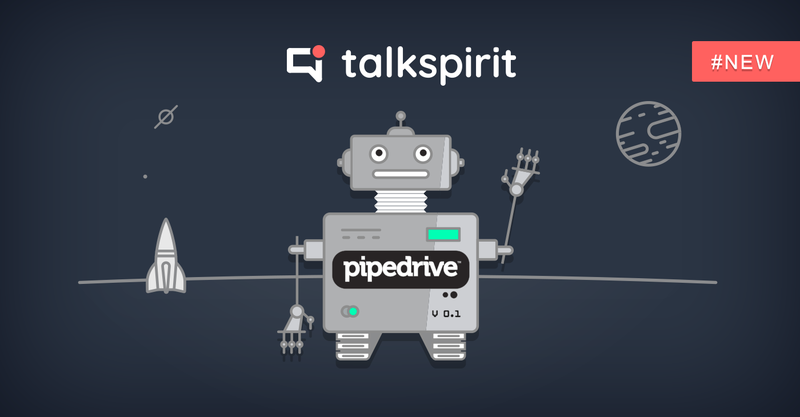 We wanted to further enhance our collaboration with Pipedrive via talkspirit without leaving the platform. 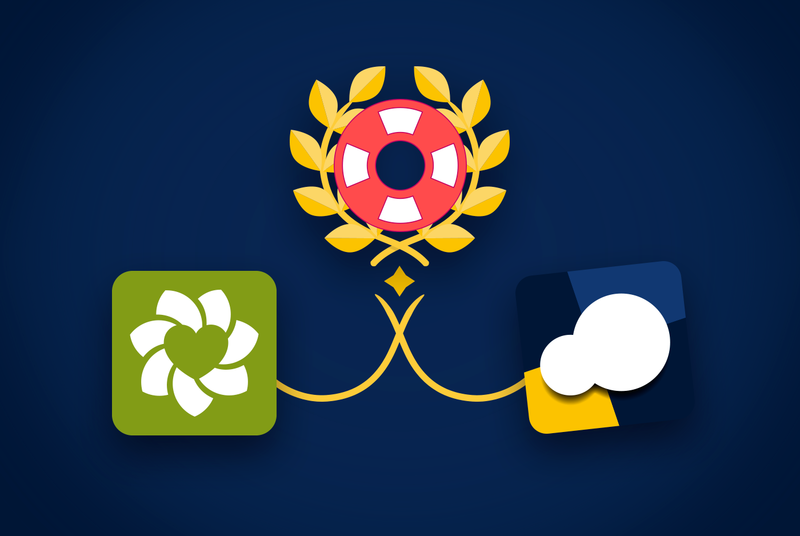 The Pipedrive bot was born from this idea, and we are pleased to introduce it today! Welcome to the Pipedrive bot! A bot is an application that can execute commands from a dialog with the user. Let’s be clear; it’s not a fluid conversation such as the ones we can normally enjoy between people, but a dialogue built from predefined questions and answers in order to carry out your actions. We increasingly make use of applications, and constantly try to move from one application to another. Bots promote productivity by accessing the key features of the apps you work with, without leaving your main digital workspace.